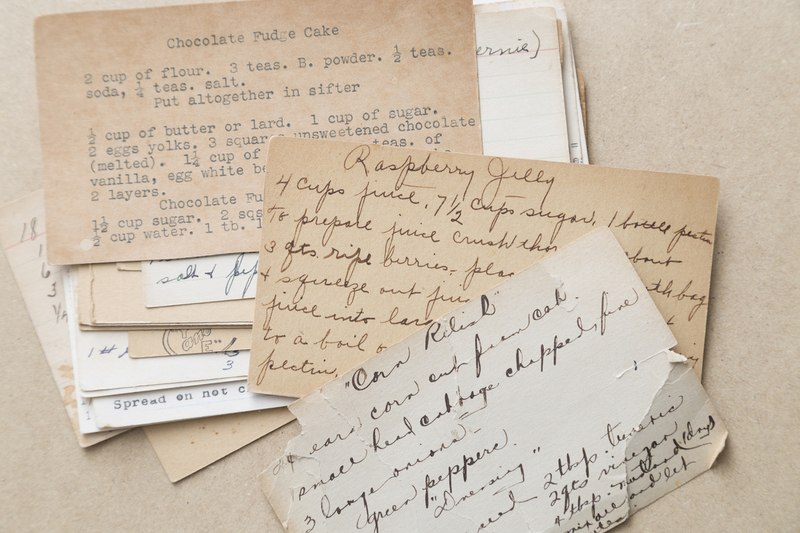 A collection of old recipe cards. Some hand written, some typed, all show signs of age. Some are more discolored than others. The recipes you can see include chocolate fudge cake, raspberry jelly, and corn relish. Studio shot.